Radaflex has adapted a Mark Andy Performance Series P3 to print on aluminum foil at its facility in Tmava. 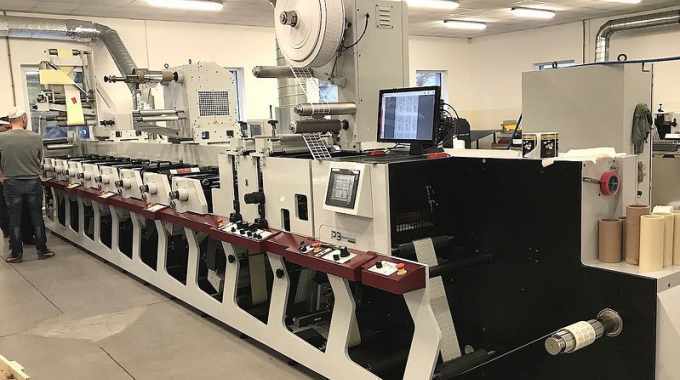 The Slovakian converter’s new P3 is an 8-color flexo press, with a 10in (250mm) web width, fitted with hardened idler rolls coated with Teflon. The P3 flexo press replaces a 2200 press providing the printer the ability to cut waste while increasing up time, with Performance Series presses providing 50 percent less waste than conventional in-line presses. Configured with eight flexo print units, reverse side printing, cold foil capability and two die-cutting stations, the P3 also has full UV curing. It is fast to make ready between jobs, which is a bonus considering the range of work and different substrates that Radaflex copes with daily. Unlike filmic material, foil is more stable during the print process. The mechanical drive of the P3, manual registration and control is well suited for Radaflex’s work. With years of experience in this field, Lukac says his press operators have the necessary skills to man the mechanical press. The stroboscopic camera monitors the run's register. After printing, the company has specialized finishing and punching technology on hand. Installation of the new P3 was under the supervision of Radim Krutis of Enginne, Mark Andy’s distributor for Slovakia. Limiting the early jobs to labels allowed the operators time to become acquainted with the new press. Operators found it faster and more productive than its legacy 2200 predecessor. Radaflex expects significantly less waste to be produced as well. Once they felt confident, Radaflex introduced foil work, which forms a substantial part of the P3's workload. ‘The P3 handles [the work] with ease which shows how well designed and manufactured it is. It has fulfilled all our requirements for print quality and has saved us material and time since it came onstream,’ Lukac said.